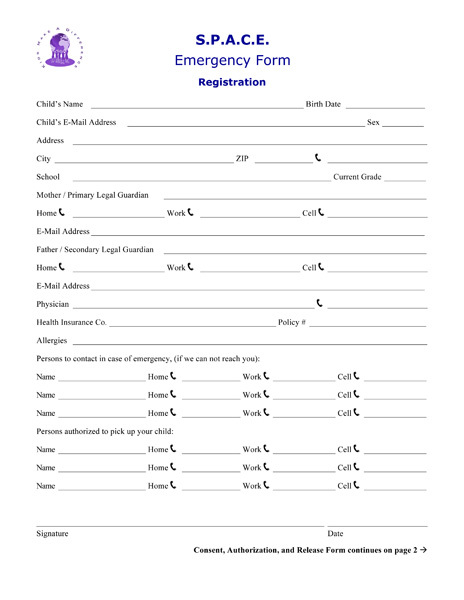 Download, complete, and print the Emergency Form below. This document is two pages and may be viewed and filled out using Adobe Reader. The program is free and available for download.